Throughout the winter months, there are fewer races on most people’s race calendar, and the typically wet and cold weather makes it less fun to keep running outside. To combat this running slump, Portland Running Company is offering the Winter 5k Series with the slogan “Never let winter win.” The races take place regardless of weather (last year race #1 was on ice, #2 on 5″ snow, and #3 on warm and wet streets). The optional long sleeve cotton event shirt will be used at all three races: Each race’s individual badge is added to the sleeve on race morning at the printing press station in the store. The series of three chip-timed races starts at the Beaverton Portland Running Company on Nimbus/Scholls, taking neighborhood streets to Greenway Park and back again. 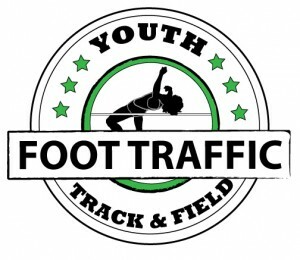 During the first two races, you can fine tune your pacing and race strategies, then the third race will be a predictor race: You will submit your estimated finish time before the run, no time keeping devices are allowed on the course, then the winner will be determined not by overall speed but by how close your actual finish time is to your estimated time. PRC 5K Winter Series Course: Our course will run from Portland Running Company to Fanno Creek Trail in Greenway Park and back. All races will be the same course weather permitting. One water station will be on course with water and sports drink. The course will be well marked and easy to follow. Both runners and walkers – all abilities welcome. We do not offer refunds due to weather. NEVER LET WINTER WIN! After the race, come back inside PRC for breakfast by Stanford’s Restaurant (!!! ), results, awards, and raffle prizes. Last year’s prizes included PRC gift cards, socks, hoodies, t-shirts, and warm hats, just to name a few. 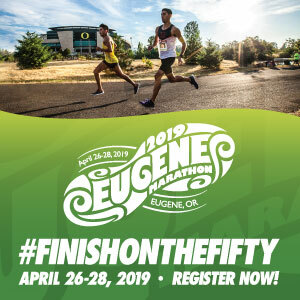 A portion of the race proceeds are donated to the Union Gospel Mission, and collection boxes are on site for food and household item donations to the Sunshine Pantry Beaverton. For an idea of how it went last year, check out Abby’s recap of the January race and of the February predictor race. Registration cost: $75 for all three races; $30 for each individual race. $15 for long sleeve event shirt. The individual event badges will be hot-pressed onto the sleeve at each event. Registration includes: Race entry, coffee, breakfast by Stanford’s, raffle prizes, awards. Packet Pickup: Day of race starting at 7:30am. Is there day of race registration? I am pretty sure yes!